By now you've probably heard about the new lead flows tool that was released at INBOUND this year. But you've already been busy generating leads using CTAs, landing pages, and thank you pages. Do you need to use a lead flow? You can't come this far and not take your lead generation potential further! 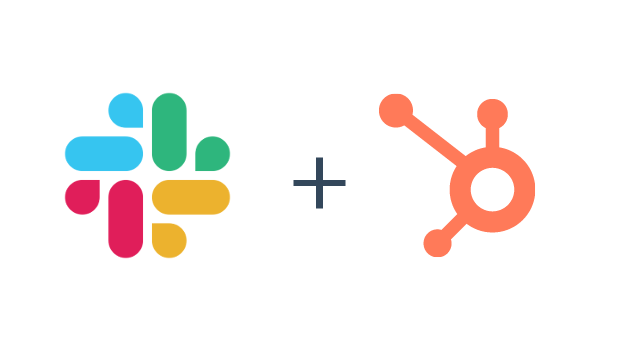 The HubSpot Academy team has launched a new Lead Flows training class to round out your current lead generation strategy. This class will teach you all about lead flows: why, when, and how to use them. Converting visitors into leads is no small task. 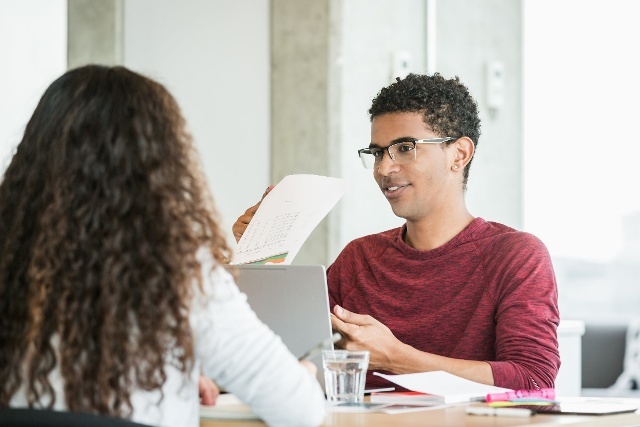 By using a lead flow, you'll be able to ensure you're getting your most relevant offers in front of the right person at a time when they need it. 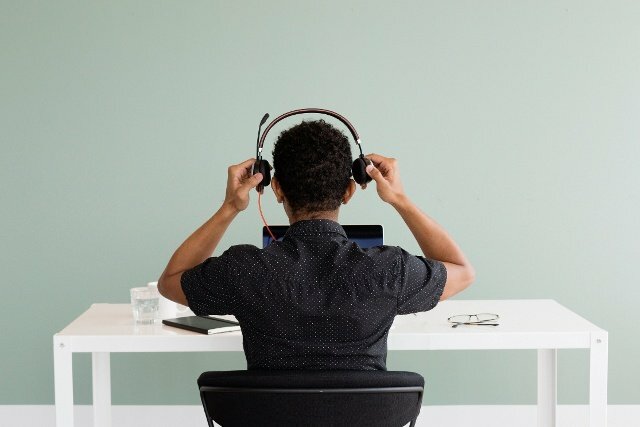 Since the entire lead flow process happens within a pop-up, the user will have a distraction-free experience to get more information and keep browsing your content. You'll learn how to use lead flows properly in this training class. There's an easy rule to follow when deciding to use a lead flow or not: Simple conversions can use a simple process. An offer with a simple form that's simple to understand, such as subscribing to a blog (all you need for a blog subscription is an email), begs for using a lead flow over a conversion process. Don't lose a blog reader in a complicated conversion process that takes them away from your blog! In this training you'll learn two ways to evaluate the lead flow and conversion process options to help you make the right choice for all of your content offers. The lead flow will be a great addition to your inbound marketing when you display content offers to your blog and website visitors. This gives your leads an easy, continuous browsing experience into your content after signing up for an offer, with minimal friction. In this class, you'll generate leads through a simple user experience and learn how to set up a lead flow in minutes. Lead flows will smooth over friction points that prevent you from generating leads. A seamless browsing experience for your user will not only help you meet your goals with lead generation but also win some brownie points with users who have a good experience while reading your content. Who should create lead flows? You are looking for a new strategy to generate leads. You would like an easy way to promote your content offers. You have identified some content offers that need to be in front of all of your website and blog readers at once. You want to learn all that you need to know about lead flows. You want to get a lead flow up on your website or blog in less than five minutes. After watching this class, you'll be primed to set up high-performing lead flows in HubSpot. If you've already created lead flows for your blog or website, you'll be able to fine-tune your lead flows to generate higher conversions with the recommendations in the class. 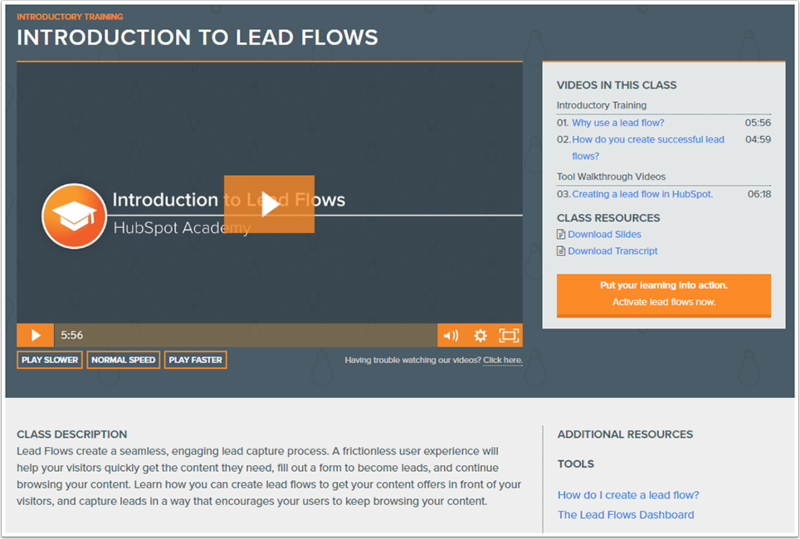 Watch HubSpot Academy's new Introduction to Lead Flows class now.